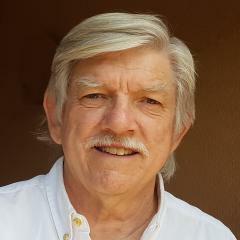 Recently, ASU archaeology Professor Keith Kintigh and Founding Director Frank McManamon were interviewed by Alexandra Witze, a writer for the Archaeological Conservancy’s “American Archaeology” Magazine. 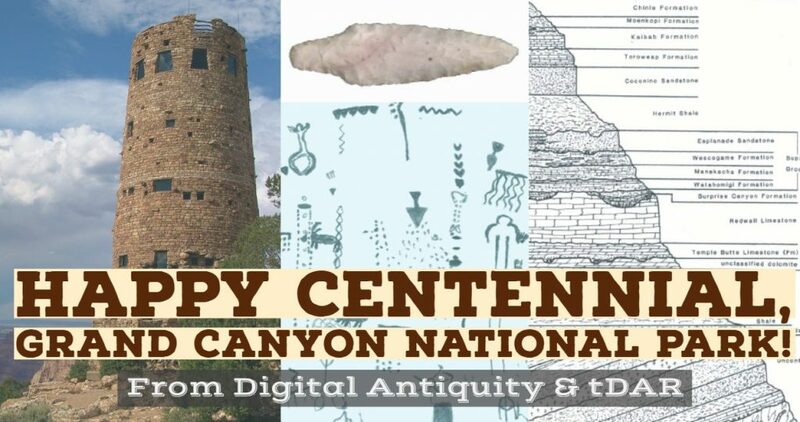 The Archaeological Conservancy is a non-profit organization whose mission is to identify, acquire and preserve significant archaeological sites in the U.S. That mission dovetails nicely with our mission at Digital Antiquity: to acquire, preserve and make accessible the digital data associated with archaeological research. 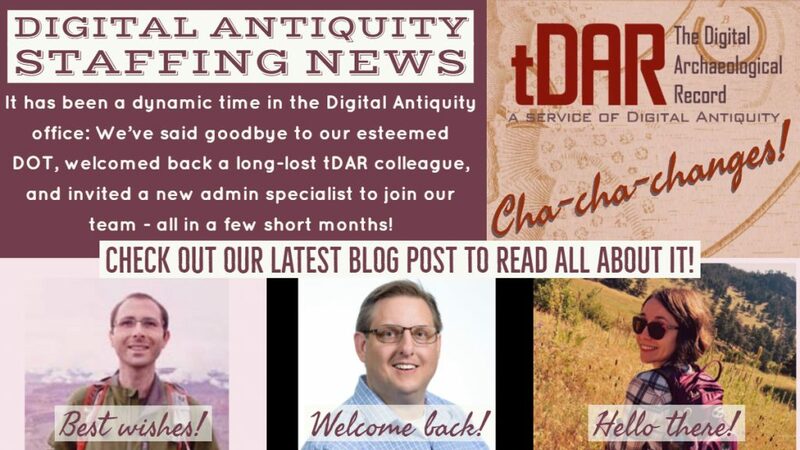 In the article, Frank and Keith recount the urgent need to upload digital archaeological data to repositories like tDAR. 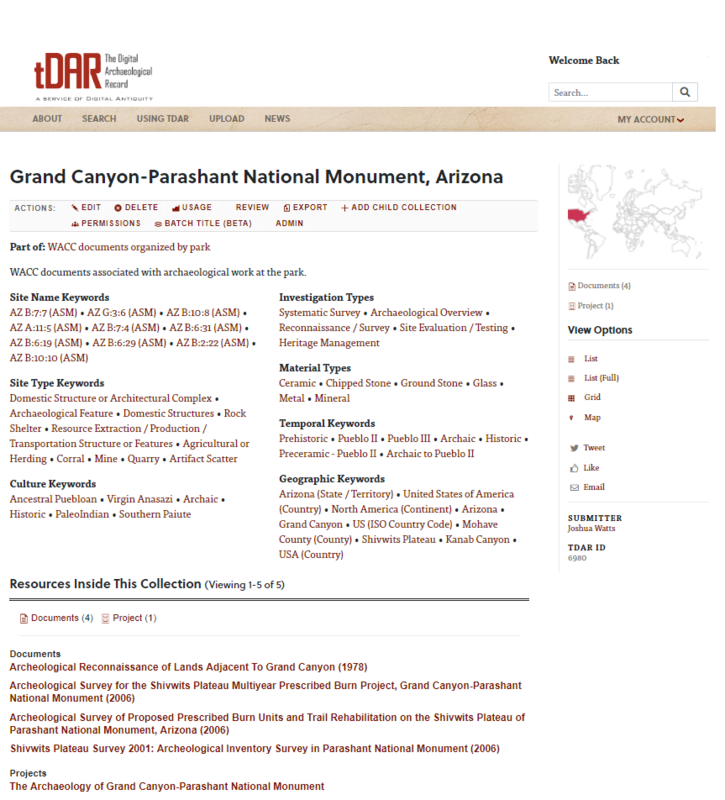 Most archaeologists aren’t curating their digital data at public repositories like tDAR. Kintigh stressed that proper curation is more important than ever because now much of this information is, so to speak, “born digital” and exists in no other form. Without it, future generations of scientists won’t be able to reanalyze and synthesize the information and make fresh discoveries of their own. “It’s a tragedy that we’re not adequately capitalizing on the potential uses of the data,” he said. This follows on the heels of a forthright article by Keith last fall in “The Conversation,” where he argued strongly that “agencies must ensure that the full digital record of their archaeological investigations is deposited in a recognized digital repository.” tDAR has worked effectively with a number of agencies (Dept. of Defense, Bureau of Land Management, and the Bureau of Reclamation, among others) to make archaeological information discoverable, accessible and preserved permanently for future use. Check out the “Disappearing Data” article on the Archaeological Conservancy website. Wider use of tDAR (the Digital Archaeological Record) would be a valuable contribution to streamlining the Section 106 and other environmental review procedures at both the beginning of the process and at the end (McManamon et al. 2017). Let’s first consider how including a search of tDAR’s digital content at the beginning of Section 106 or NEPA reviews could help. Discussions and presentations at the September 2018 annual ACRA (American Cultural Resource Association) conference last month in Cincinnati emphasized the imperative of identifying the location of known historic properties early in the review. Agencies or developers who are considering undertakings need to have information about where known historic properties are located. One such source of this information is the SHPO (State Historic Preservation Office) statewide historic property inventory maintained by each state, which must be searched as part of the planning for any such undertaking. SHPO historic property inventory records typically contain basic geographic and limited descriptive information, for example, name of the property, property type, ownership, category of significance, etc. However, in most cases, the SHPO inventory records are not substantially updated or expanded. These records do not provide the much more detailed descriptive, analytical, and evaluative information or links or easy access to existing data from more detailed studies of the historic properties. Some SHPOs have accessible inventories of reports submitted as part of earlier Section 106 reviews. While some inventories may also include links between the reports of past investigations and the historic property inventory, many do not. In addition, most SHPOs limit access to and/or charge for use of their digital files, both the historic property inventory records and their reports of investigations libraries, so providing wider access is a challenge administratively and technically. In her presentation at the ACRA conference, Marion Werkheiser made the point that easier access to and broader use of the “treasure trove” of additional information from past investigations would be beneficial for speeding up archaeological, environmental, and historic preservation reviews. The fuller contextual, descriptive, and interpretive information provided by these materials substantially enhance the typically sparse records contained in the SHPO inventories. The full extent of the data treasure trove is not known, but recent compilations (Altschul 2016:68-71; Departmental Consulting Archaeologist 2009: 41-44, 2010: 50-56) indicate that it encompasses millions of reports, images, data sets, and other kinds of files, some paper, but many already in digital formats. It is a terrible waste of (mostly) public funds and the results of much human endeavor not to make better use of this trove of existing data. Content in tDAR includes these more detailed data, primarily in technical reports of investigations, but also in images, data sets, and other files deposited in tDAR. Much of this contextual and other substantive information derives from prior Section 106 or Section 110 or NEPA investigations. If a streamlined Section 106 process included a search of tDAR, the results would enable project proponents and their cultural resource management (CRM) consultants or staffs to obtain a fuller view of what work already had been done in potential impact areas and relative easy access to the results of these prior studies. In most cases, this detailed information is needed as part of the Section 106 review, which, in addition to simply identifying where historic properties are located, must assess their significance and value(s), determine if they will be impacted by the undertaking, and suggest how adverse impacts anticipated by the undertaking can be mitigated. Digital searching of tDAR content is possible using geographic terms, key words, text strings, individual or groups of terms, and other means. In a streamlined review process, such searches would supplement what can be learned from basic SHPO historic property inventories. The tDAR metadata records, which are available for all files deposited in tDAR, are publicly accessible. Search of these digital records would not require any coding for special access. Access to the digital files themselves can be controlled with additional review of requests for access required (more on this process below). A second way that using tDAR can improve and streamline review procedure is at the end of the investigation process. Data created by any Section 106 or environmental review-related investigation should be deposited in tDAR as part of the project itself, analogous to the mandatory deposit of physical collections and paper records in a qualified curatorial repository at the end of a project. As is clear from the detailed legal analysis by Cultural Heritage Partners (2012), the requirement for up-to-date digital data curation exists in 36 CFR 79, the National Archives and Records Administration regulations, and the statutes from which these regulation derive. Depositing data in tDAR as part of a project is easily accomplished administratively by including in all investigation scopes of work the requirement that the CRM or environmental consulting firm carrying out the work upload to tDAR and complete the metadata records for the digital products (mainly documents, images, data sets) of their investigation. A number of examples are summarized below. By including this activity as part of the CRM contract, the new data becomes immediately available for use by and for new projects. With these data deposits, the information treasure trove grows with the completion of each current CRM investigation. Concern is often raised about access to certain kinds of archaeological data, for example, very specific information about the location of in situ resources that may be in some documents, forms, data sets, etc. Data deposited in tDAR can be marked as “confidential” at the time they are uploaded. This designation requires that others who wish to see or download the confidential files must contact the individual or organization that authorized the deposit of the files and be given access to the files by the depositor. This provides for an extra level of protection for confidential data deposited in tDAR. It also is possible for those who deposit data in tDAR to create, using readily available commercial software, “redacted” versions of documents or other files from which confidential data are removed. These redacted versions can be deposited and made available in tDAR to registered tDAR users who have agreed formally to give credit to the data creator(s) if the data are used for subsequent research and not to take any actions that would endanger the resources to which the data relate. 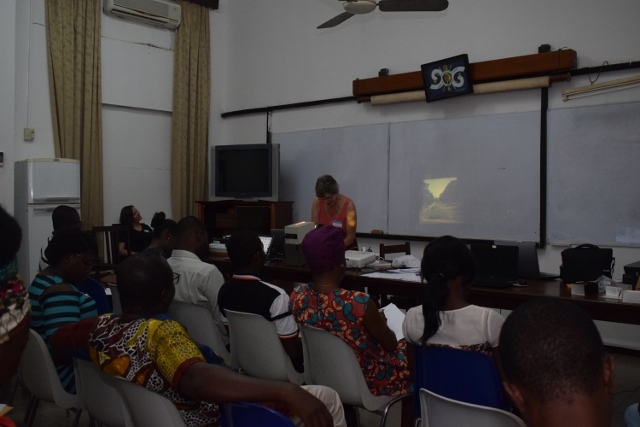 Several agencies and firms that have created digital archives in tDAR to manage their digital archaeology and cultural heritage data. These tDAR users create redacted versions, as well as, deposit confidential full versions of their data. This approach enables them to control access to the confidential data, but also provides wider and easier public and professional access to data that is not confidential. SHPOs, of course, will want and should have copies of reports and related material in their own offices where they can make use of them. A strategy for long-term digital data preservation envisions many copies of the data being preserved and available for reuse in multiple repositories. It is not a problem if data are cared for in more than a single repository. A growing number of examples exist of public agencies (national, state, local, and, soon we hope, tribal programs) depositing data in tDAR where they can use the data more effectively and efficiently and manage access. Below are several recent examples. This extensive archive, set up in 2011 is the first digital archive collection in tDAR. It is used actively by PXAO CRM staff to manage their data (Digital Antiquity 2013). Currently the archive includes 11 datasets, 371 documents, 5 GIS datasets, 56 images, and 103 projects. Growth continues both through the addition of legacy data and through the inclusion of data from recent or current projects. In terms of the resources in this tDAR collection being discoverable, accessible, and used, in 2017 and 2018, resources in the collection have been viewed over 57,180 times and files downloaded 5,534 times. The firm deposited data from a recent project, the Sigurd to Red Butte No. 2 transmission line in UT. This project archive includes 12 data sets and 10 documents (reports, artifact data sets and site inventory forms). The site inventory forms are marked in tDAR as confidential and have access controlled by SWCA and the BLM. The physical collections are curated at the Natural History Museum of Utah. The project digital data were deposited as the final part of a project overseen by BLM and funded by a private energy company. The files and metadata records were uploaded to tDAR by SWCA as a project deliverable. Throughout this project, 81 sites were investigated in some combination of Phase I testing, Phase II excavation, and/or Level II historical documentation. The CRM firm that undertook this project, SWCA, was requested to take on the project in May of 2015. The project data was deposited in tDAR in June, 2017. That is a quick “turn-around” time from project start to project data being made available. In this case it was possible by using tDAR as the data repository where other potential users can discover, access, and make use of the data. The firm deposited as part of their project completion the data from excavations of the Armstrong-Rogers Site (7NC-F-135) (Hatch et al. 2017). The excavation is part of a larger archaeological program for developments of the U.S. Route 301 Corridor, New Castle County, Delaware. This project archive consists of 3 datasets and 2 documents, Phase III investigations. The project is part of the Delaware Department of Transportation (DelDoT) Digital Archive in tDAR, which is described in the next bullet. So far data from five recent major archaeological projects done as part of the Route 301 project. At present, the archive includes 15 data sets, 6 reports, and 30 sets of images. These data are organized under five projects carried out by different CRM firms as part of the overall impact mitigation program for the highway project. Far Western deposited data for two recent projects on behalf of their client, the Bureau of Reclamation Lower Colorado River office. Archaeological Inventory of 1,927 Acres Atop and Adjacent to Mormon Mesa, Clark County, Nevada (2018) and Class III Cultural Resources Inventory of 1,555 Acres East of the Virgin River, Clark County, Nevada (2018). 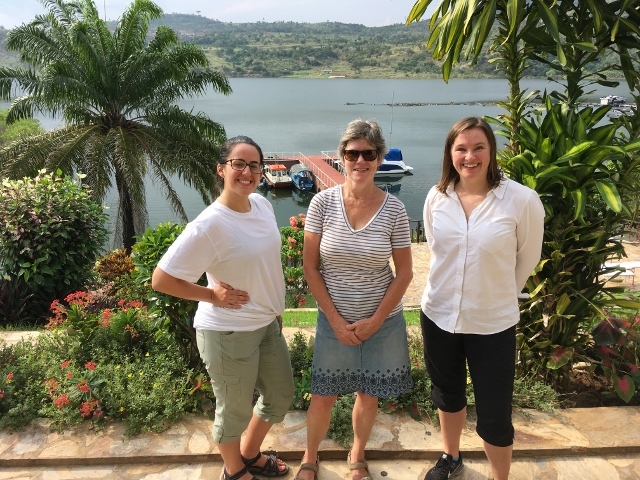 For this project, the fieldwork was completed in January 2018 and the documents and data sets were uploaded and made available in July 2018. Managing or curating data is an important, albeit, frequently overlooked part of any research project no matter what the subject area or reason behind the study. Good management of digital data requires that they be broadly and easily discovered, accessed, understandable for reuse, and preserved for future uses. 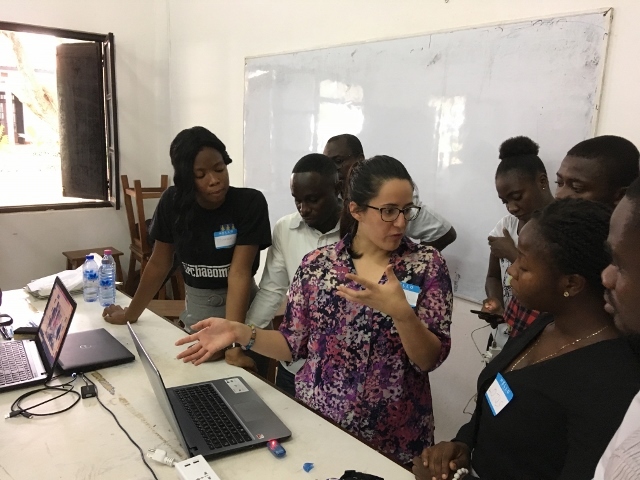 The desire among data users for greater transparency and access is widespread among both the scientific and humanities disciplines and with policy makers. This is particularly true for data that have been produced at public expense, e.g., through funding agencies such as EPA, NSF, NEH, NIH, and USGS. The demand for greater access to sponsored project research data is focused on issues such as what data are saved by such publicly funded or required projects; where and how can such data be discovered and accessed; and, what metadata are curated with these data files that make them usable. The recent research about how data are managed by York, Gutmann, and Berman (2018) describes some of the challenges in this area. Depositing data in tDAR as part of the completion of investigations is one way to ensure that project results do not broaden an already existing data stewardship gap in archaeology, historic preservation, and heritage studies. Altschul, Jeffery H. (2016) The Role of Synthesis in American Archaeology and Cultural Resource Management as Seen through an Arizona Lens. Journal of Arizona Archaeology 4(1):68–81. 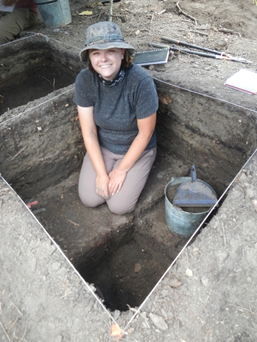 https://www.cambridge.org/core/journals/advances-in-archaeological-practice/article/fostering-collaborative-synthetic-research-in-archaeology/1F03A37B00427EB753898EA5AE8D3861, accessed 4 October 2018. Cultural Heritage Partners, PLLC (2012) Federal Laws and Regulations Requiring Curation of Digital Archaeological Documents and Data. https://www.digitalantiquity.org/wp-uploads/2013/05/2013-CHP-Legal-Analysis-of-Fed-Req-for-Curation-of-Dig-Arch-Docs-Data-.pdf, accessed 4 October 2018. Departmental Consulting Archeologist (2009) The Goals and Accomplishments of the Federal Archeology Program: The Secretary of the Interior’s Report to Congress on the Federal Archeology Program, 1998-2003. Archaeology Program, National Park Service, Department of the Interior, Washington, DC. doi:10.6067/XCV81N7ZR4, accessed November 30, 2016. Digital Antiquity (2013) Case Study: Using tDAR to Manage Legacy and New Archaeological Documents and Data, the Phoenix Area Office of the Bureau of Reclamation. 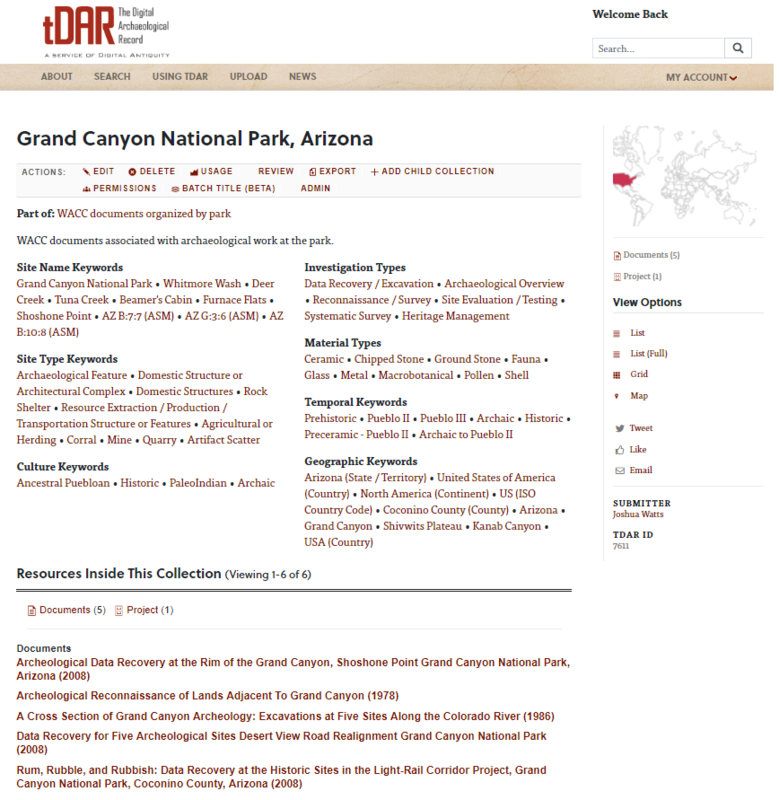 https://www.digitalantiquity.org/wp-uploads/2011/07/Using-tDAR-to-Manage-Legacy-and-New-Archaeological-Documents-and-Data-the-Phoenix-Area-Office-of-the-Bureau-of-Reclamation-.pdf, accessed 4 October 2018 . Hatch, Brad, Danae Peckler, Joseph Blondino, Kerry S. Gonzalez, Emily Calhoun, Kerri S. Barile (2017) Archaeological Data Recovery at the Armstrong-Rogers Site(7NC-F-135) New Castle County, Delaware. D. (tDAR id: 446689); doi:10.6067/XCV8ZC85SX. https://core.tdar.org/document/446689/archaeological-data-recovery-at-the-armstrong-rogers-site7nc-f-135-new-castle-county-delaware, accessed 4 October 2018. McManamon, Francis P., Keith W. Kintigh, Leigh Anne Ellison, and Adam Brin (2017) tDAR: A Cultural Heritage Archive for Twenty-First-Century Public Outreach, Research, and Resource Management. Advances in Archaeological Practice 5(3):238-249. https://repository.asu.edu/attachments/189868/content/tdar.pdf, accessed 4 October 2018. York, Jeremy, Myron Gutmann, and Francine Berman (2018) What do we know about the stewardship gap? Data Science Journal 17:1-17. https://datascience.codata.org/articles/10.5334/dsj-2018-019/, accessed 4 October 2018. 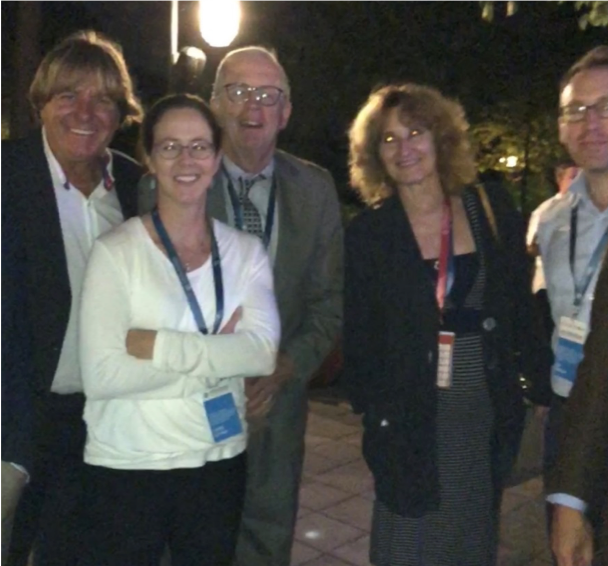 Digital Antiquity Executive Director and Research Professor Frank McManamon organized and chaired a panel of US archaeologists as part of a data science workshop in Belgrade, Serbia, 26-28 August. 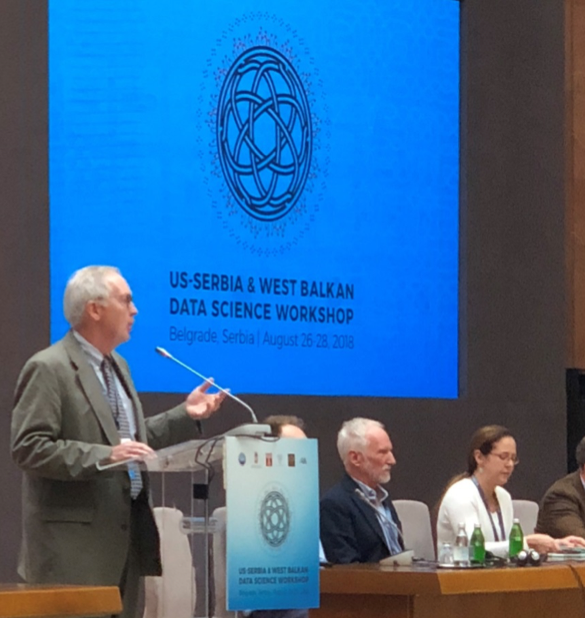 The “US-Serbia & West Balkan Data Science Workshop,” was funded by the National Science Foundation, the Serbian Ministry of Science, Education, and Technological Development, the Serbian Academy of Arts and Sciences, the University of Belgrade, and the U. S. Embassy. Organized and chaired by Professor Zoran Obradovic, L. H. Carnell Professor of Data Analytics and Professor, Statistical Science Department, Fox School of Business, Temple University and Aleksandra Drecun, President of Intersections, Center for Science and Innovation, Serbia, the workshop combined panels on data science foundations, mathematical research, big data critical infrastructure, bio-medical informatics, and archaeological research. Paired panels from the US and Serbia and the West Balkans addressed data science issues and themes as they are relevant for each of their professions. Overall, the workshop explored how the US data science community can cooperate with and benefit from collaborations with partners in Serbia and the West Balkan region. The scope includes fundamental data science methods and high-impact applications related to big data processing, data science applications in critical infrastructures, biomedical informatics, and digital archaeology. The workshop facilitated closing the gap between data science research in the US and Serbia and the region. US data scientists in various fields mixed with Serbian and Western Balkan researchers from disciplines that until recently had little exposure to data science methods, potentially enabling collaborative breakthroughs in those scientific fields. In addition to the formal workshop sessions, the US archaeologists had a number of side meetings with colleagues in the Serbian Institute of Archaeology. In addition to the exchange of information about how research, theory, and methods and techniques in the fields represented are being integrated with data science, the workshop had the goal of establishing collaborations between Serbian and West Balkan scientists and US colleagues. There appear to be a number of possible collaborations among the archaeologists. Serbian and US archaeologists consulting (l. to r.: Miomir Korać, Director, Institute of Archaeology, Serbia; Carrie Heitman; Frank McManamon; Snezana Golubovic, Research Associate Professor, Institute of Archaeology, Serbia; Ben Marwick. US Ambassador to Serbia, Kyle R. Scott (BA ASU 1979; Thunderbird School of Global Management, 1980) made remarks during a workshop panel during the first day. Scott made the important comment, noting that available data these days is not simply “big,” it is “huge.” He pointed out that in order to make good use of these data, they need to be effectively managed. 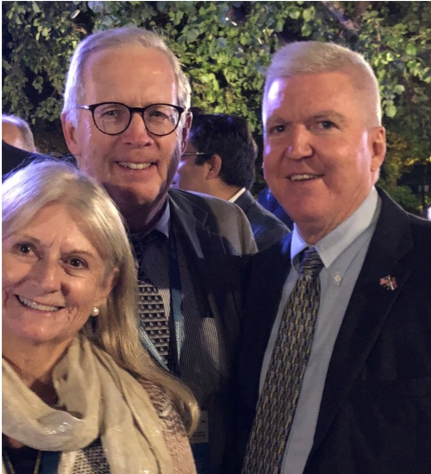 Carol Pierce-McManamon, Frank Pierce-McManamon, and US Ambassador to Serbia Kyle R. Scott (ASU 1979; Thunderbird 1980) at US Embassy reception for Data Science Workshop participants. McManamon, in his remarks on another panel later in the workshop, picked up on Scott’s comments. 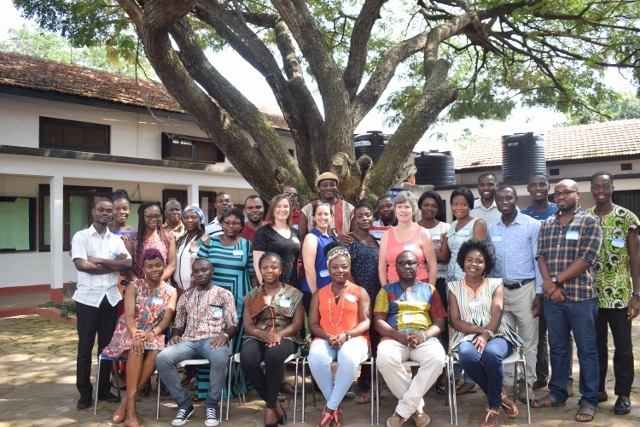 He noted that few presentations during the workshop had addressed or even mentioned issues of managing the vast amount of digital data that was utilized in the data analyses that were the focus of many presentations. Good management of digital data requires that they be broadly and easily discovered, accessed, understandable for reuse, and preserved for future uses. 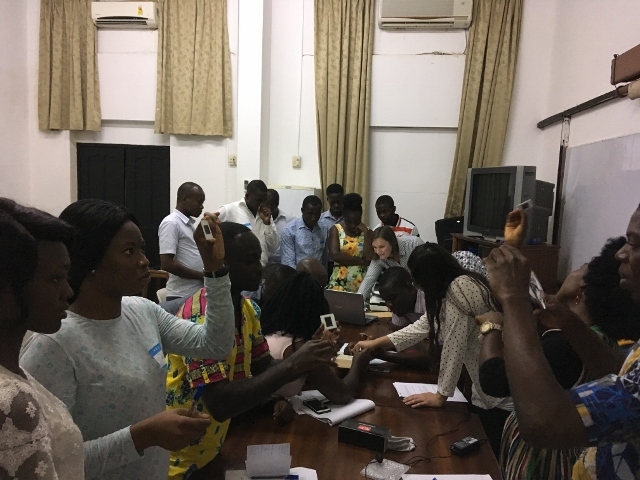 The desire among data users for greater transparency and access is widespread among both scientific and humanities disciplines and with policy makers. This is particularly true for data that have been produced at public expense, e.g., through funding agencies such as EPA, NSF, NEH, NIH, and USGS. The demand for greater access to sponsored project research data is focused on issues such as what data are saved by such publicly funded or required projects; where and how can such data be discovered and accessed; and, what metadata are curated with these data files that make them usable. The recent research about how data are managed by York, Gutmann, and Berman (“What do we know about the stewardship gap?” Data Science Journal 17:1-17. Doi: http://doi.org/10.5334/dsj-2018-019) describes some of the challenges in this area, which McManamon summarized briefly in his remarks at the workshop.